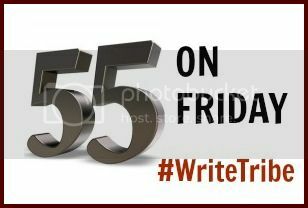 Remember when Vidya Sury did that great post on 55-Fiction here? It set off a flood of 55ers and what’s more, since then, I’ve received quite a few messages asking for a place to leave links to posts. How could I not oblige? So without further ado – here’s our first 55 on Friday. It will come to you twice monthly – on the 2nd and 4th Friday. Today’s prompt had to come from Vidya – a lovely capture that sets up quite a scene for a 55er, don’t you think? Instructions you ask? Write a piece (or many pieces) of 55-fiction and link your post/s here. Thanks Vidya and Corinne again for 55! Well this one is not exactly 55 ‘fiction’ …..ummm it’s more of poem …but done in 55 words! Wow…thanks for the new brain-game ! Submitted mine 🙂 But, the (x) mark near my entry is still visible which means the entry can be deleted .. Tried to refresh it a few times but .. Please help !! Amazing…tired, sleepy but will attempt this before I sleep.